Wind energy generation in the UK reached a new high on Friday 8th February when Storm Erik battered the nation’s coasts, pushing wind turbines to produce over 15GW of energy. National Grid data revealed that 15.32GW was generated by wind power between 12.15pm and 1.45pm, providing 36% of Britain’s electricity demand. 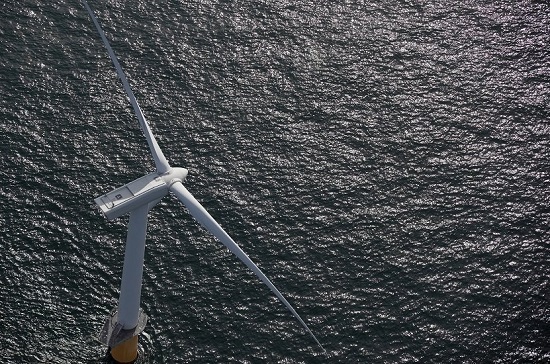 The previous record of 15.04GW was set on 18 December 2018, according to RenewableUK. RenewableUK’s executive director Emma Pinchbeck said: “At one of the coldest times of the year, when we need it most, wind is generating over a third of Britain’s power needs, setting a new clean energy record. “It’s yet another demonstration of how our energy mix is shifting to renewables, with onshore and offshore wind in the vanguard. “This transition is set to continue apace; we’re currently finalising a sector deal that will see offshore wind alone generating at least a third of our electricity by 2030. This will secure £48 billion of new investment and support 27,000 highly-skilled jobs,” she added. This week will also see the UK electricity grid receive first power from the Hornsea One offshore wind farm off the Yorkshire coast, which will become the world’s largest when fully operational. Danish developer Ørsted said it was ready to step up its plans for the Hornsea One project in order to fill the gap left by failed nuclear power schemes in the UK.